Ramon Velarde got his Masters in Music Performance from the Cornell School of Contemporary Music at Shepherd University. He also had the privilege of studying privately under guitarists such as Carl Verheyen (Supertramp), Ross Bolton and Steve Trovato. 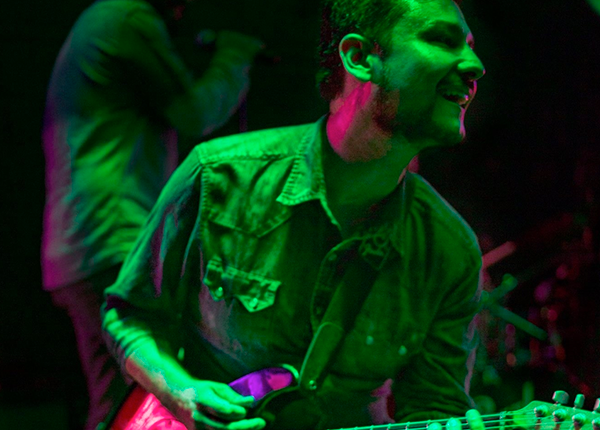 Ramon has played and toured with numerous bands since 1998, including the band “Fonos” with whom he won the second prize at the Hard Rock Stage National Band Contest in Mexico. He also recorded an album with Warner Music under the direction of legendary Bass player from the band “Caifanes”, Sabo Romo. Ramon Velarde has been teaching privately since 2007 and enjoys teaching all styles of guitar and working with students of all ages.